meaning of life . as if it was easy as some math formula or it is located at some page in some text book . i have been on that topic for a long time n also its recently pop up in class . some people have dffrent views and do they want in life . are we here all with a purpose or are we here as the pessimist sees it . without meaning . the answer is too abstract that searching for it would b meaningless n d never ending search would go on? 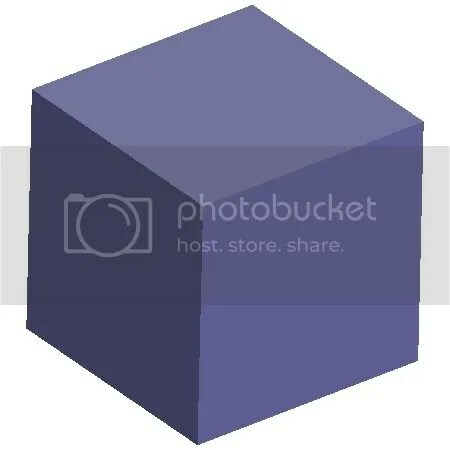 and about this cube . look at it . its drawn on a 2 dimensional layout , but it seems 3d to us? why is it so? are we able to visualize it as back it was b4? 2 dimensional? i dunno abt other ppl . but for me . i think im so stubborn n egoistic . its so hard for me to take in other people’s opnion n views . i always think im right . but d point is not dat im right or not . but are all disillusionize from the real fact? we think we have free will in life n we are able to choose n act as wateva we want . but in fact . our eyes are covered by the choices . actually in fact . theres no choice at all . we all act n react to wat we were condition . as like d weather . its so hard to predict n yet there are so many factors that effect n make it d way it is . mayb us .. n d weather is alike . are we not? and also today . i stayed home for more almost 24hrs now . its a holiday called veteran’s day . no school . no work . at home doing my assignment on english that i hate so much . i n ever hate english . but i guess im not scoring As in it . that makes me think its almost impossible for me not to score an A in it .. well d sun is setting right now . its goin down early .. its like 4.20pm cz of daylight saving . anyways . d sunset . this weekend i feel like sitting on d rocks . relax my mind of all my stupid lil problems n d things dat happen to me this week . i wanna just sit down n feel d wind in my face . n hear d wave hit against d rocks n sand . but b4 i chase n go after d sunset .. wat is important to me is . is not dat i would reach there in time for d sunset or not . but along d way . whose beside me .. chasing it together with me ..
i guess thats wat life is all about . its not matter how high u can climb or how deep u can swim . but whos climbing n swimming beside u . sharing those moments with u . Good 1.. is not what u get in the end.. is who’s there when u’re getting it.. =) take care dude!!! :p too many? coz i have nth to say at the moment….kinda ….wordless…dunno….complicated HAHA! btw…your msn pic is always sweet HAHAHA!!! we always have to make decision on choices, right, it’s considered “free will”. and we know our decisions always being constrained by our past experiences, our wills, our thinking, etc; at this point, i’ll no more consider this is “free will”. Because our “free will” is retriscted. to b cont………. Though, you have to do your best man.